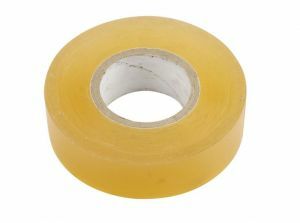 Pro Boat’s clear flexible tape can be stretched around corners and used to seal boat hulls and radio boxes. Great for racing and rough water conditions, it’s a must-have item for any RC boat modeler looking to protect their investment. Clear design that doesn’t distract from trim schemes. Waterproof and won’t come loose when wet.